There are some really cool toys out there for working on small motor skills and broadening your child's imagination. One of my children's favorites is Gears from Learning Resources! 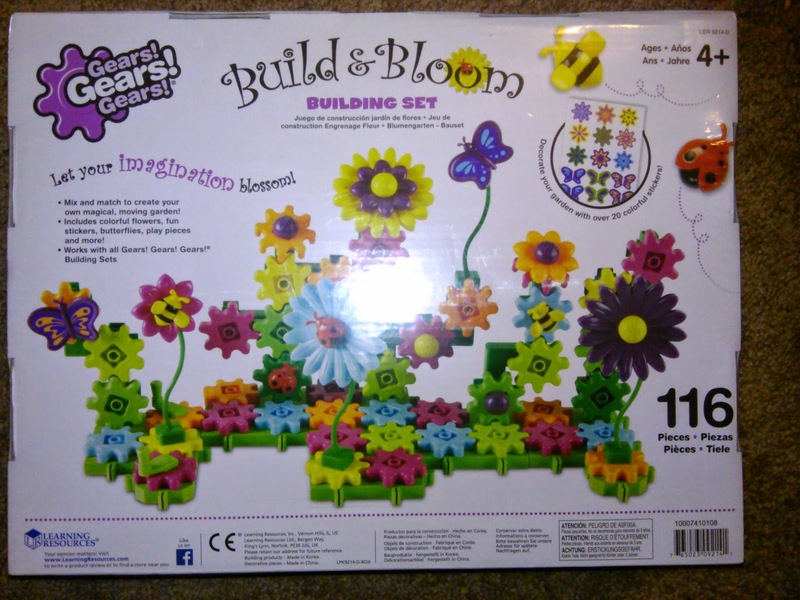 There are some really cool types of Gears building kits including Farm and my children's most recent addition to their collection: Build and Bloom building set! My daughter especially loves this set because she loves the pretty colors and the pretty butterflies and flowers. But my son also likes it because he can build some pretty cool flowers and gardens and watch them all spin with the turn of one knob! Plus, they can mix and match all their sets of Gears to make some pretty awesome creations! With the Gears! Gears! 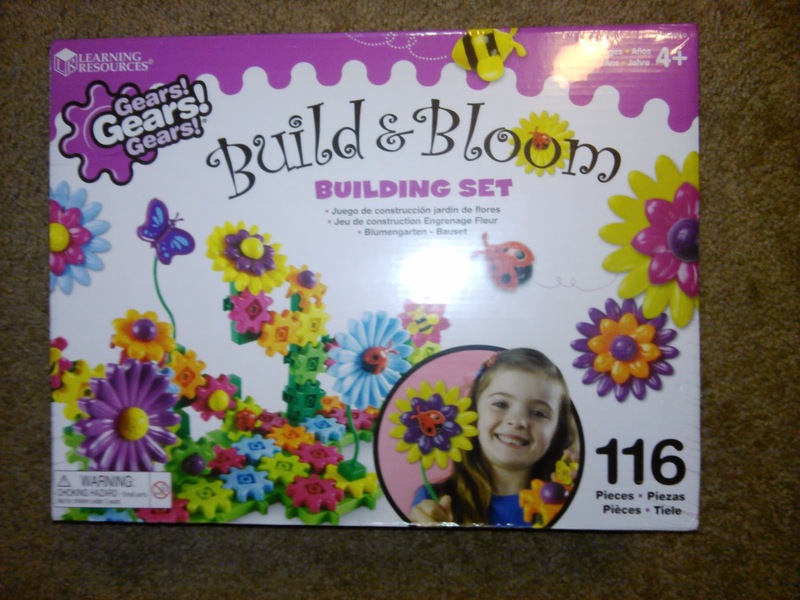 Gears!® Build & Bloom Building Set, children can mix, match and create their own beautiful, spinning flower garden! This set includes 116 items including colorful gears, flowers, butterflies, bees, ladybugs, wiggly stems, and more! Parts are all interchangeable, allowing for endless combinations and designs. You will love watching your child's imagination blossom like mine did! You can purchase Gears! Gears! Gears!® Build & Bloom Building Set for $39.99 from Learning Resources. Learning Resources is generously offering (1) Gears! Gears! 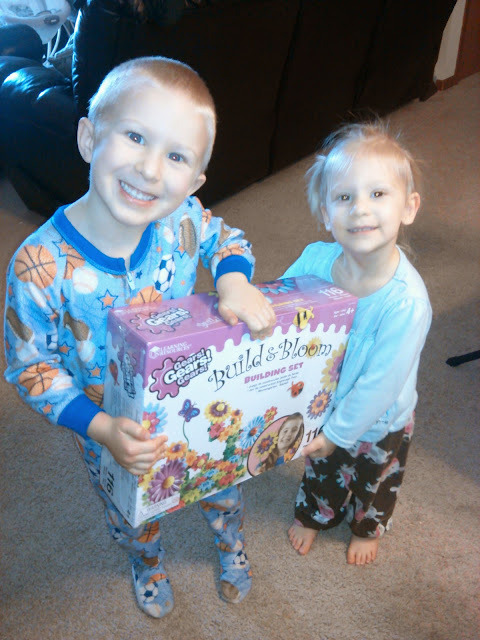 Gears!® Build & Bloom Building Set to a lucky winner!